First thing first, freshmen who attend Farmingdale State College are allowed to have cars on campus, although not many SUNYs allow this. So, you’re a freshman in college straight out of high school and you probably don’t know what it really means to be a commuter in college. But don’t worry, I’m here to tell you all about the positives and the negatives of commuting as a freshman. For starters, commuting includes a wide variety of methods, and those methods are: driving a car, riding the bus, riding a bicycle, riding the LIRR train, or carpooling with a friend. Farmingdale is primarily a commuter-based school, so it has more commuting students than resident students. Many students live nearby campus, so riding a bicycle and/or riding a bus isn’t too bad. The positives for commuting by bus in Farmingdale are that we have a free shuttle bus that departs outside of Laffin Hall and takes and picks up students, faculty, staff, alumni, and visitors to the LIRR station, Main Street Farmingdale, and the Aviation Center. The schedules of the shuttle are posted both online and on the doors inside of Laffin Hall. As for driving a car and carpooling, I personally drive to Farmingdale from Monday to Thursday from 8 a.m. to as late as 5 p.m.. There are positives to driving and carpooling to school such as: you have the ability to control when you leave your house and when you leave the campus; the ability to drive on the HOV lane when carpooling with another person, which skips unnecessary traffic areas; exploring new spots to eat and shop during free time; and my favorite as a commuter student, which is to have a car to sleep in while waiting for a later class. The positives for the LIRR train are, that although there aren’t any discounts for students, they do have a special option called The Ten Trip Off-Peak, which allows buyers to save up to 15% off 10 off-peak one-way fares. The LIRR also offers students who live further east and west of Farmingdale a means of transportation to the campus. Now that we have covered the positives of commuting to Farmingdale, let’s cover the negatives. When talking about the negatives of commuting, weather is always the first thing that pops into my mind, because weather can greatly change the whole means of transportation. Weather will always be a factor when traveling anywhere, when there’s good weather everything is okay and going smooth, but on some days that we have to endure bad weather, we have to account for leaving a bit earlier and/or staying a little longer to beat or wait out the weather. Snow, rain, and heavy winds are the usual suspects and they get pretty bad in New York, so when you leave your house to go to school in any means of transportation, leave a little earlier than usual to give yourself leeway in case of traffic, and if you are on campus and there’s bad weather, best to stay on campus to wait out the weather for a little while. The negatives for driving and carpooling to school are: if you have a morning class anywhere from 8 a.m. to 10 a.m., there’s a very high chance there will be traffic along the route if you’re alone in the car; finding a good parking spot next to your class’s building; and having to drive very early in the morning when very drowsy and having to drive back home very late at night also feeling drowsy. 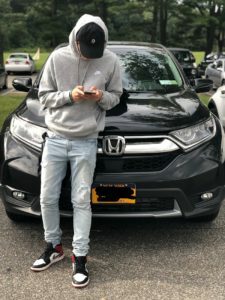 The question “How is the parking here?” is always asked by new students, and to answer that I have to say that Farmingdale State College has a lot of parking spaces, although there will be times where you won’t want to walk farther than necessary to your class’s building. Some pro tips for new students when finding parking is to either come at least 20 to 30 minutes earlier to class, or when seeing a student walk towards the parking lot ask them if they are leaving and if you can take their spot. The negatives for riding the bus and riding the LIRR to Farmingdale are that the schedules aren’t always going to work out within your schedule for classes, and the fact that you have to pay for the LIRR, which isn’t cheap by any standards when talking about taking it on a consistent basis every day, twice a day. Being a commuter student has a lot of responsibilities you probably weren’t exposed to before going to college, and a lot of it goes into accounting for probability when there’s bad weather and making sure you get to class on time on a constant basis. 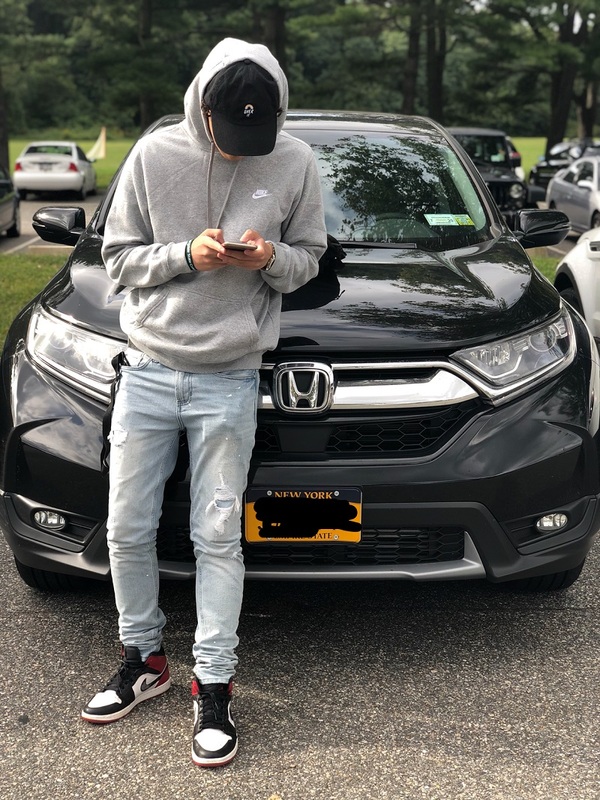 I intend on being a commuter student for my four years at Farmingdale State College, and in my first and second semester as a freshman I have enjoyed it so far and it is definitely doable.